It is the first Monday of June and we are hopping with the Designer Crafts Connection! 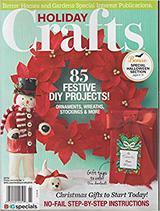 This month's theme is Handmade gifts, a very special and personal way to show someone you care. The heart is my favourite icon and felt my material of choice, I combined the two to create a special graduation Heart felt keepsake card for a close friend's daughter. I wanted to incorporate some inspirational quotes into the inside. I used Craft Attitude film to print out the quotes for the inside of the card. 9" x 12" Craftcuts of Kunin Rainbow Classicfelt, 1 White, 1 Fuchsia and 1 Printzfelt. Craft Attitude Film for fabric, 1 sheet. Embellishments, charm, stick on pearls. 1 Hook and loop closure. Scissors, rotary cutter and mat, embroidery floss and needle, glue stick. 1. Cut from Printzfelt a 7" by 12" piece for envelope. Cut a 3" heart from Fuchsia piece. Cut a 6" by 11" piece from white felt for inside of envelope. 2. Fold Printzfelt piece 4" over to create bottom of envelope, fold the top piece over 3" to create top of envelope. Flip over to position heart in center of piece and glue heart leaving edge of heart open. With floss embroider a blanket stitch around heart. Add stitching along both ends. 3. Print out inspirational quotes on Craft Attitude film in one column to fit white felt piece. Adhere and trim. 4. Glue white felt piece to back of Printzfelt. Embellish. 5. Embellish front of envelope. Fold envelope again and adhere hook and loop closure where the two pieces overlap. A special gift card with a meaningful message in only a few minutes! Enjoy more crafty handmades by hopping along with our DCC blog hop button! Such a lovely gift, I'm sure they enjoyed this very much!